What is your Default Text Editor? Make sure you have followed the installation instructions on the Setup Git, Bash & Anaconda lesson. 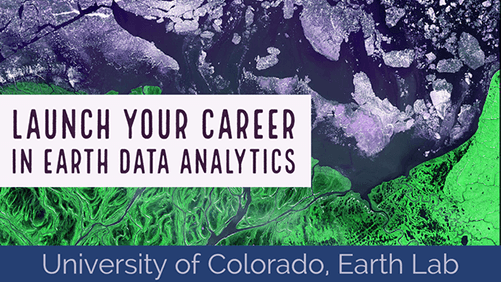 Information below is adapted from materials by Software Carpentry and UC Berkeley CS61a. Interacting with tools at that command line: For example, you use a text editor when you use Git for version control to write merge and commit message. Writing Bash scripts to process files: If you want to very quickly process a large set of text files, you will often use Bash at the command line. You will use a text editor to write that script. Scientific programming: Many scientists and coders work in a text editor to write their code. Often, the default text editor setup for your command line environment is not a graphical text editor. You may want to change the default text editor depending on your workflow. In this lesson, you will learn about the different features to look for in a text editor and learn how to set your default text editor. Automatic Color-coding: In a normal text editor, all of the text is the same color. However, when the text editor is optimized for coding, different parts of your code will be colored in different ways. For instance, all comments might be displayed using the color grey. Common functions may be blue and so on. This allows you to quickly scan and easily review and scan your code. 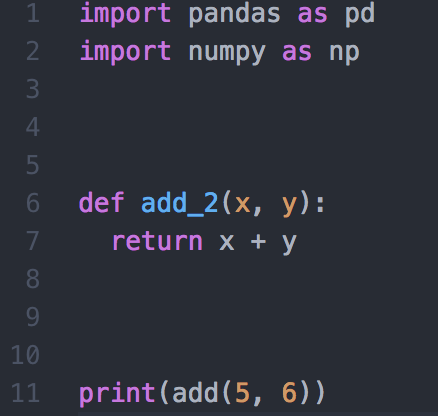 Code that is rendered in a text editor with no color coding. Notice that various types of commands are colored differently, making it easier to quickly scan and review the code. Running Code: A text editor lets you write and save a script that is ready to be run in the terminal. Some text editors and gui environments also allow you to run code inline. Find and Replace: If you want to change a word that you’ve used multiple times in a file instead of manually changing that word many times, you can use the find and replace feature to let the text editor automatically change that word. Some scientists will only code in a text editor. Others will use a text editor for some tasks and Jupyter Notebook (or some other coding GUI) for others. You will figure out your preferred workflow as you code more! Most operating systems come with a default text editor as described below. While choosing a text editor is a very personal preference, for this course, if you don’t already have a favorite, we recommend the Atom text editor which will run on Mac, Linux, and Wndows. You can use whatever text editor you are most comfortable, but mainly for this course we will be working in Jpyter Notebook. However, it is important to be familiar with text editors because they are powerful tools that many scientists use to write code. If you use Git, you will need a text editor to create some commit and merge messages. 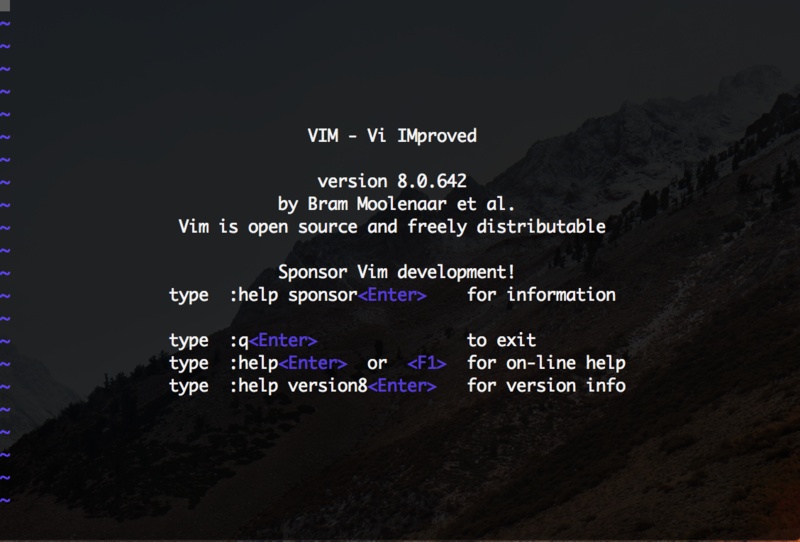 The welcome screen of vim. Once you are in vim there is one core commands that you need to know about - how to exit vim. 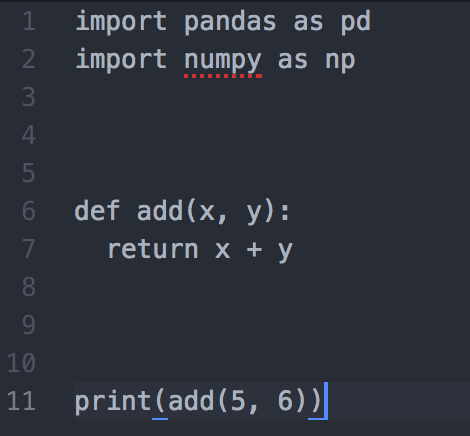 How to exit vim : If you need to exit vim, type the following: hit escape to bring up a prompt where you can type. Then type :q! (colon, lower-case ‘q’, exclamation mark). Hit Enter and you will return to the terminal. If you want to edit a new file in vim, then you need to be in insert mode. Insert mode, which allows you to use Vim like a regular text editor – you press keys, and the corresponding characters will show up on the screen. To enter the insert mode, press i or insert. Data Tip: Before saving a file in vim, it is a good idea to check your current working directory, as that is where the new file will be saved. To do that after you are in the command mode (press :), type pwd. If you want to save that file in a different directory, type w followed by filepath/filename.txt. Next, let’s open the earth-analytics-test.txt file that we just saved from vim. If you are working on Linux or on may cloud and High Performance Communing (HPC) environments, you may prefer a non-graphical text editor like Vim. However for this course, if you are running a Mac or Windows operating system and haven’t used Vim before, we recommend you work in Atom. It supports Git/Github integration, which makes it easier to collaborate with others to write code, address merge conflicts and to complete other common Git operations. Atom has an active development community which means lots of extra packages are available to gain extra features. For example: Markdown Preview lets you write code in Markdown in a .md file and preview the rendered output in a different window. Hydrogen package, allows you to run code inline in Atom, similar to Jupyter Notebook. Look at the GIT_EDITOR part of the output. Vi means vim. To change your default text editor, you can use git config (if git is installed on your computer already). Open the terminal and use the table below to change your default text editor. IMPORTANT: in order to change your default text editor, the text editor of your choice needs to be already installed on your computer! If it is not installed, the commands below will not work.